It goes without saying that your wedding day is considered one of the most important days of your life, it is meticulously planned to every last detail. It is also one of the most intimate moments you will ever share as a couple; even more reason why weddings are flawlessly planned to each little detail, ensuring everything runs smoothly. Aside from the perfect dress, the right rings and the person you are about to marry, you may not think there is much other priority – but what about getting to the church on time? 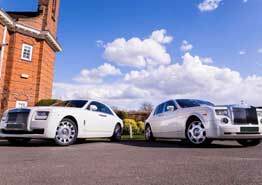 This is why you need to choose the correct type of car hire and choosing a luxurious car for your big day can have numerous amounts of benefits. Whether you decide on a more classic or modern vehicle, it is important to choose a car that feels luxurious. 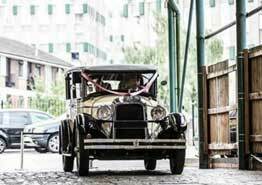 Choosing a luxury wedding car for your big day can entail many benefits to both the happy couple and the day itself. You spend hours finding the perfect dress, the fitted suit and the theme to compliment your big day the most; so why not spend time find that bespoke vehicle? Your wedding day should radiate the same style throughout. 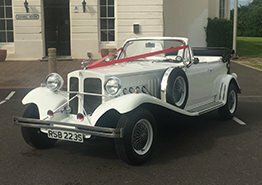 No one wants to turn up in an old, rickety family car, instead you should be rolling up to your venue in something that exudes style and class; this will enhance the look of your big day, giving the bride a car to be proud to step out of. 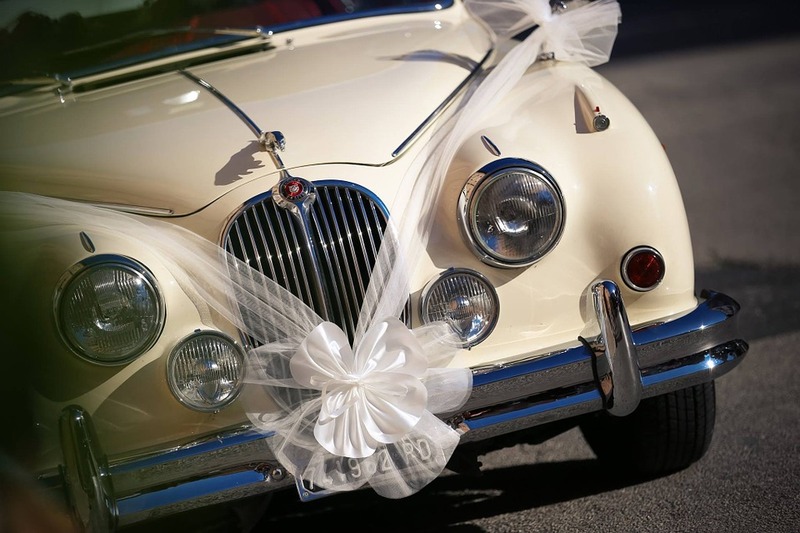 Your car doesn’t need to be plain either, you can easily incorporate your wedding car within your wedding theme by adding decorations such as ribbons or bows. A wedding is one of the grandest memories you will ever have, that being said everyone will be taking photo’s of your big day, a picture trail allows you to reminisce… As a couple you will be wanting to be photographed driving off into the sunset embarking on a new adventure as newly weds. Whether you are choosing to have a photo propped against your wedding car for an ultimate wedding pose or enjoy a romantic kiss in the back of the vehicle; your photo opportunities are endless. 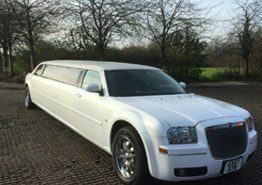 Although it is important to choose a car which fits perfectly in theme with your wedding day, you may also wish to consider a limousine for your bridal party to travel to the ceremony and reception venue? 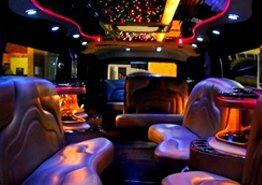 Hiring a chauffeur driven limousine can have many benefits and will get your bridal party to each destination on time and in style. After all, everyone loves to feel that extra bit special on the big day. When sitting in a chauffeur driven wedding car, you will be bound to feel a range of emotions whilst heading to your venue from tearfulness to nerves to overwhelming happiness. By arriving to your destination in luxury and comfort will help you overcome any stress and anxiety you may be feeling. Not only do chauffeur driven cars provide comfort but they ooze elegance, it goes without saying the bride is always the centre of attention at a wedding, with everyone eagerly awaiting her arrival. 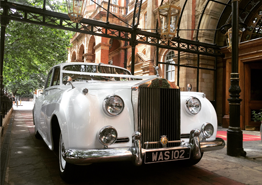 When arriving to your venue in a chauffeur driven wedding car looks elegant, stylish and majestic. 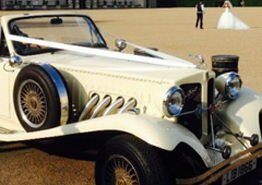 A great advantage of hiring a chauffeur driven wedding car is that they are driven by trained, professional and experienced chauffeurs who will go out of their way to provide you with an extravagant wedding experience. Chauffeurs are professional attired and are efficient to deal with stressed brides and getting them to their venue on time and in a safe and secure manner. It is always best to hire a reliable company offering chauffeured driven cars for your big day. It will be their responsibility for preparing your chosen car according to your selected theme, for the décor and providing a professional chauffeur along with the car. 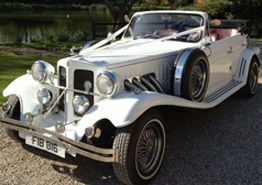 It will be the company’s duty to ensure that your wedding cars is fully maintained inside and out and getting the bride to her wedding on time and safely. The happy couple are the two most important people when it comes to weddings, with so much happening throughout the day most couples will barely spend any quality time with each other. Having chauffeured transportation means you can relax and unwind together. No matter where your journey is heading it is the perfect time to spend some quality time together.